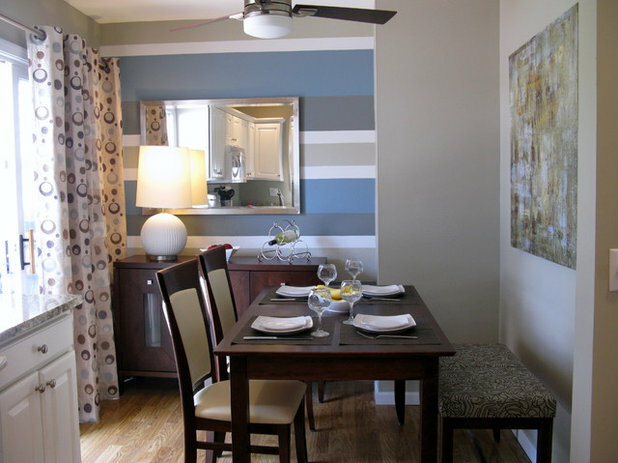 Very few patterns are as diverse as the stripe. Thick, thin, vertical, horizontal...stripes can assume many different incarnations. 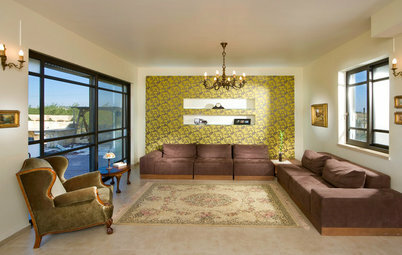 They can be sophisticated, whimsical, juvenile or adult. 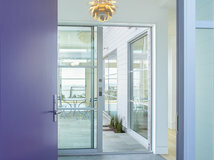 They can be subtle or bold. 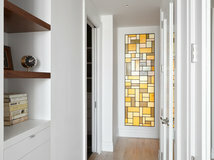 They can be merely a backdrop or they can be "the" statement in a room. 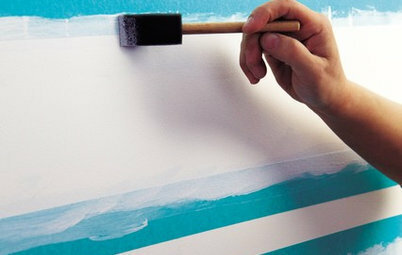 And adding stripes to a wall is as easy as weilding a paintbrush. 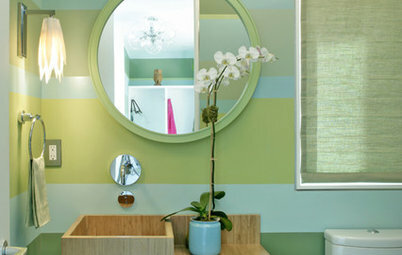 No wonder striped walls are so popular! 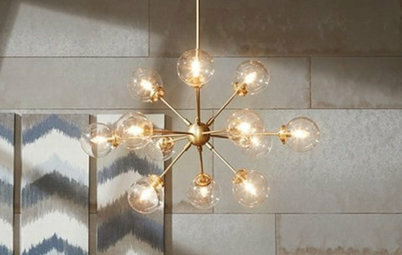 Check out these fabulous rooms for some linear inspiration. 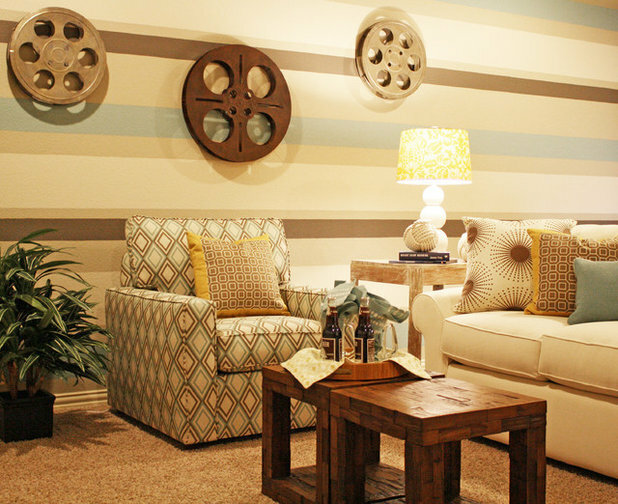 Create a focal wall by painting a repeating pattern of stripes in varying widths using the color palette of the room. 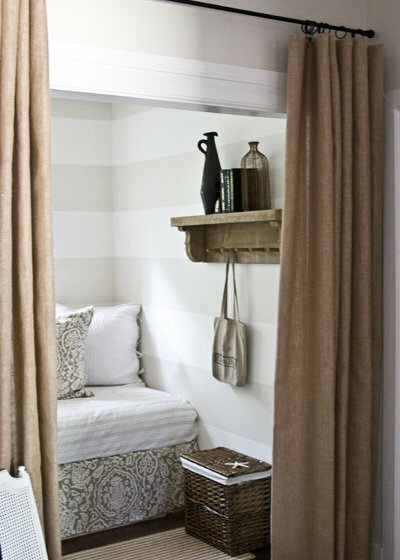 Subtle color differences used in these horizontal stripes wrap a small room in a cozy cocoon. 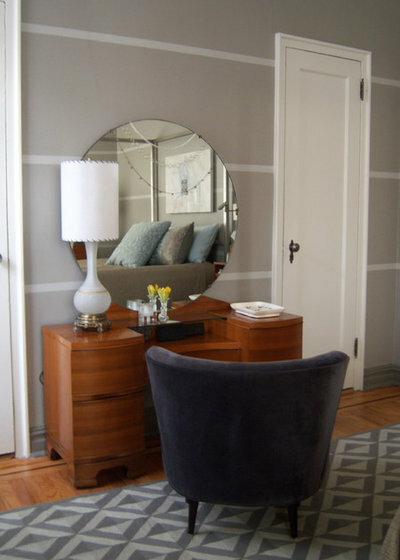 A single wide horizontal stripe can create the illusion of width in a narrow room. 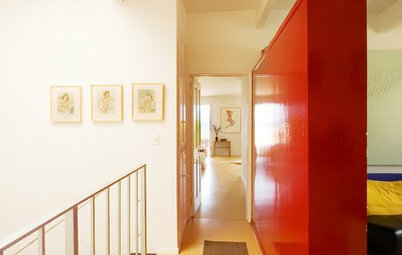 Draw attention to the height of a two story stairwell by painting it with vertical stripes. 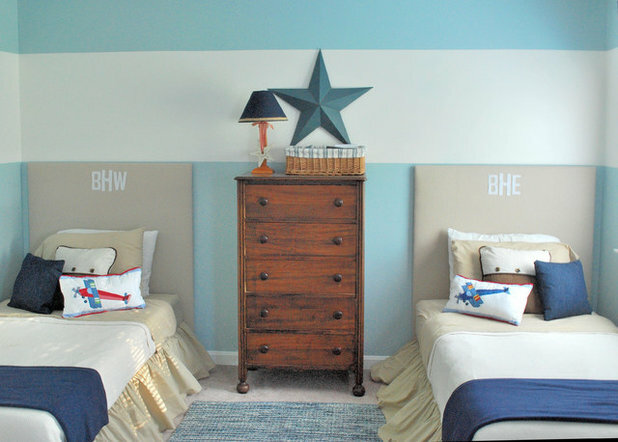 Bold contrasting stripes are perfect for a nursery. 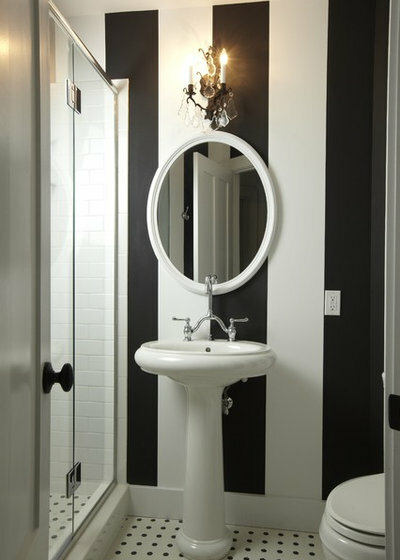 The high contrast pairing of black and white stripes creates dynamic visual interest in a powder room. 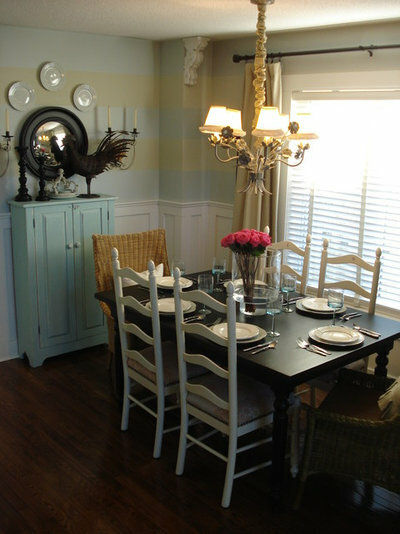 Subtle color variations and large horizontal stripes add quiet interest to a dining room. 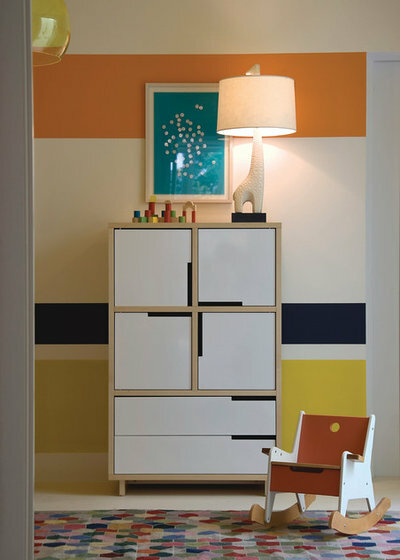 A single band of striping in two tones and varying widths creates energy in a child's room. 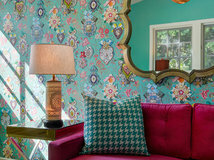 To create a contemporary feel, try using bold colors in a non-repeating pattern. 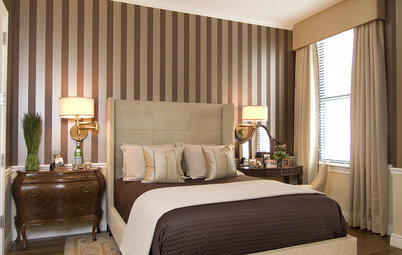 Whimsical stripes create a feeling of fun. 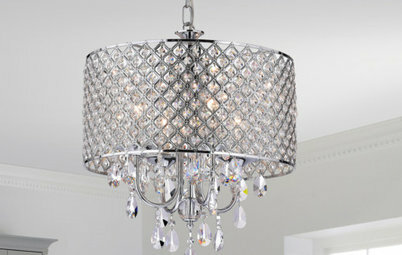 These are perfect to use in a family room, a game room or a home theater. 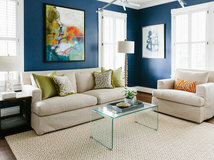 For a tailored feeling, try creating stripes using the same color paint in two varying sheens such as matte and gloss. 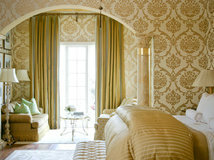 The stripes are most noticeable when hit by the light, creating subtle movement and texture. 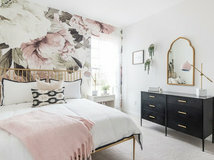 Thick horizontal stripes divided by thin contrasting stripes gives a wall the illusion of height as the eye travels up from one thin stripe to the next. 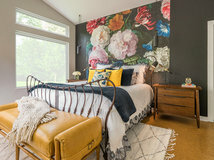 Next: Browse more home design photos. 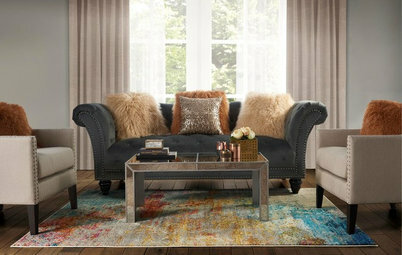 I'm an Interior Designer and someone sent this site and data to me. I'm really glad they did. 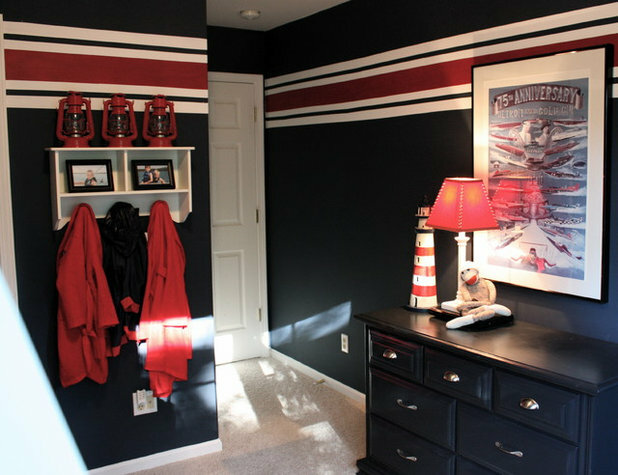 I'm doing a power room and really wanted to do stripes... but was uncertain. Hi, Char. 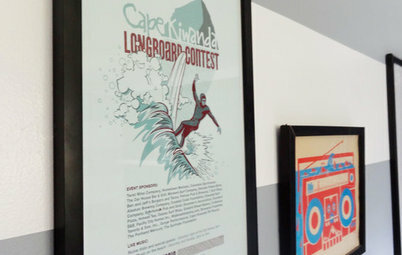 I believe you;ll be very happy with your results. I'd love to see the results!